To copy activities, first you need to save them, which is called Backup. 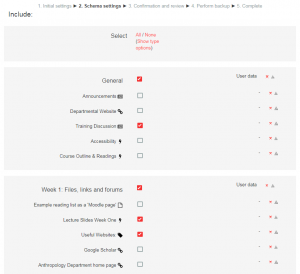 If you want to copy only one activity, start with going to the activity itself and click on Backup in the Administration block. 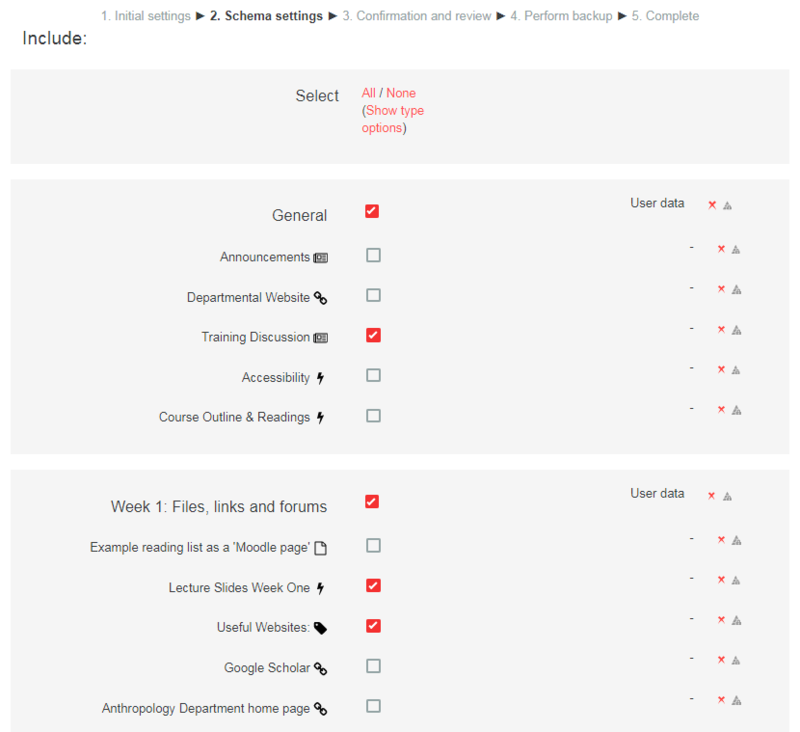 If you want to copy two or more activities, stay on the main page of the course and click on Backup in the Administration block. 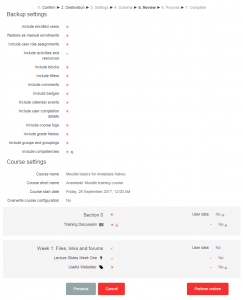 Untick Include enrolled users and optionally untick the remaining boxes as well except for Include activities and resources and, if it is a quiz, Include question bank. Select all the activities that you want to back up (copy). N.B. If you have a long list of activities, first start with clicking on None next to Select at the top – all the boxes will be unticked – then select the ones you need. On this page you can also review all the chosen options. 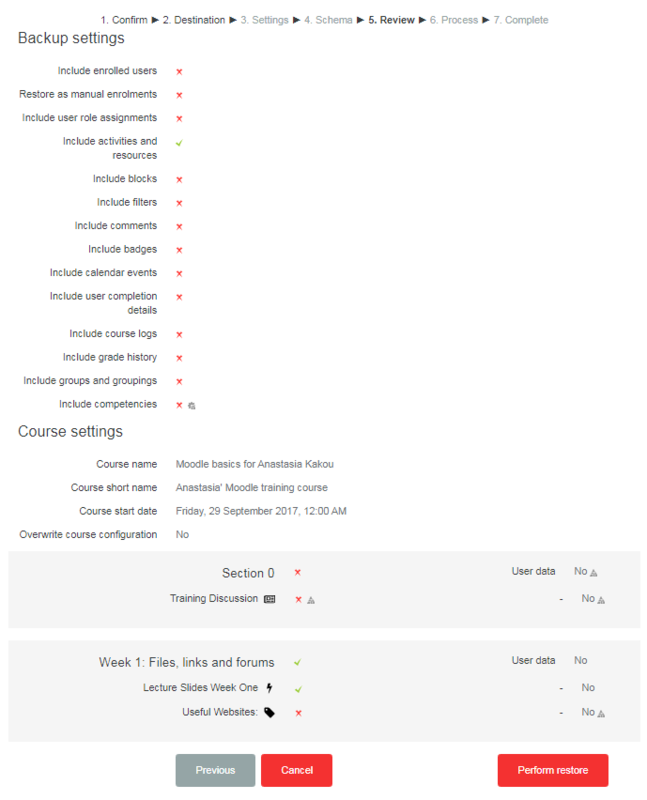 If you decide that you would like to change something, just scroll down to the very end of the page and click Previous. Click Perform backup. It might take a while to complete the action, depending on the size of the file, wait for the screen below and click Continue. 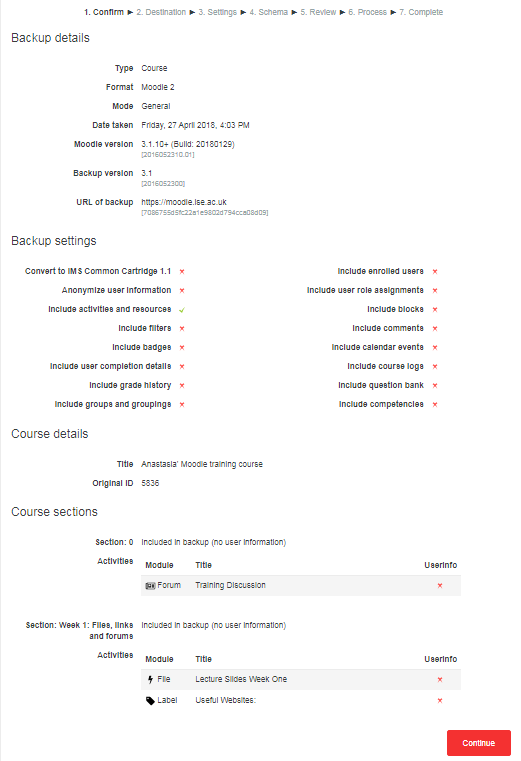 Once you have your backup file, go to Course Administration>Restore and follow the steps below. 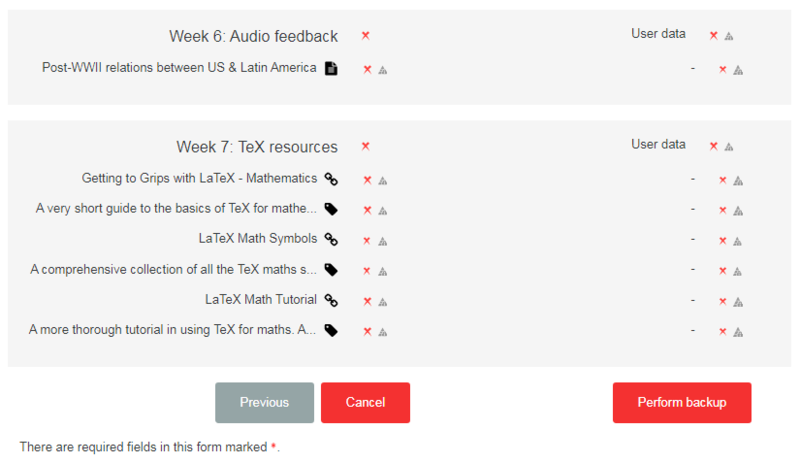 Confirm that you selected the right file and are copying all the desired activities, if so click Continue. Select where you wish to restore your file. 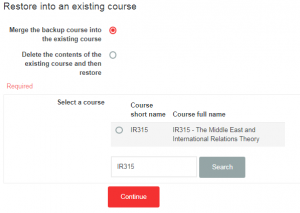 You can Restore into this course or Restore into an existing course – to reuse activities, choose the latter. Use the search box to find the course. If you are happy with the settings, click Next. 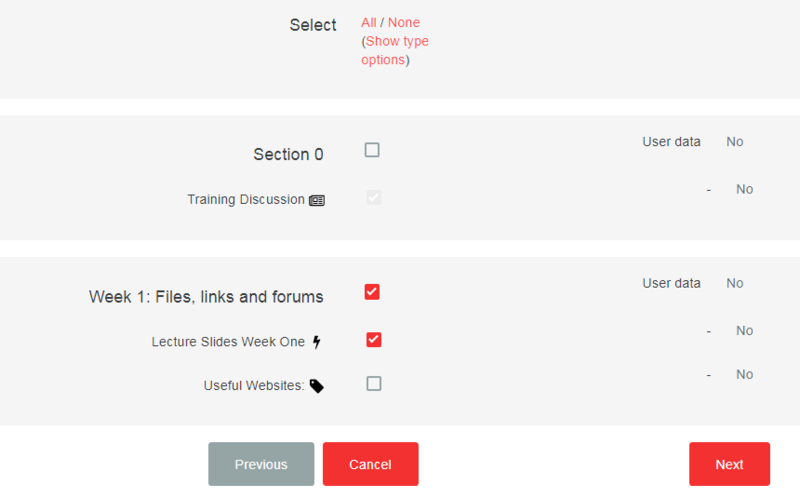 You will have the opportunity to review your selected activities and decide if you need to remove some by unticking the relevant box(es). Confirm and click on Perform restore. Wait until you see the message below. Your restore has been completed. 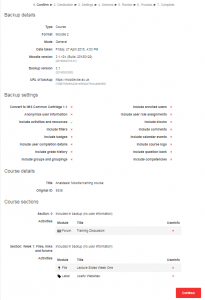 Go to your course and verify that your copied activities are there. 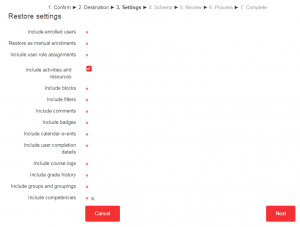 Remember that you can always edit and replace the activities’ position by turning editing on and using drag and drop.